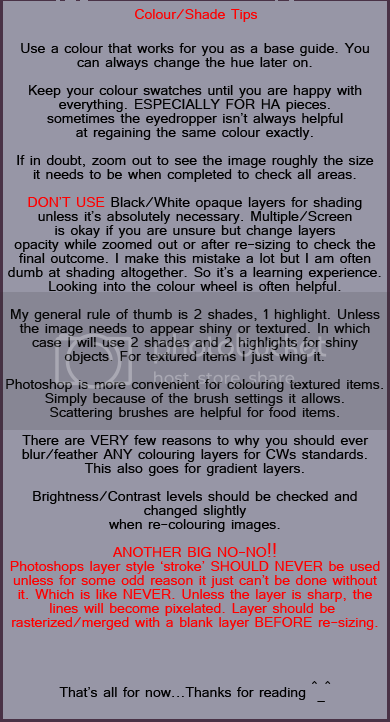 This was made to assist to mainly assist the artist staff here, however it may also help anyone else interested. 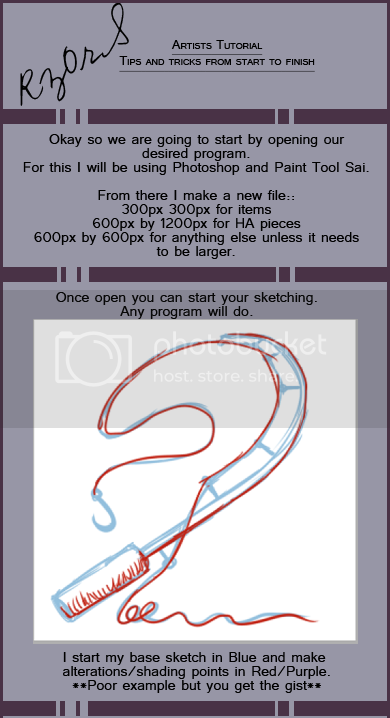 This tutorial was made using Photoshop and Paint Tool Sai. It can be used for other similar programs. This tutorial was also made for those with a basic understanding of the stated programs. The rest of it is just helpful tips and things. Had to crop it but you can view image separately to enlarge the images that were 'shrunk' to rad them better. Should say "it will not be kind TO you". Oops, oh well. I am so impressed! Definitely something I could not do. It's actually quite easy once you get the hang of it. Mind you, it has taken me a few years to get to the level I am at now in all areas of creativity. Still a few more until I reach the level I'd like to be (without much training from others). A lot of this was trial and error or helpful hints from other digital artists I've had the opportunity to work with (Cyn) or talk to.